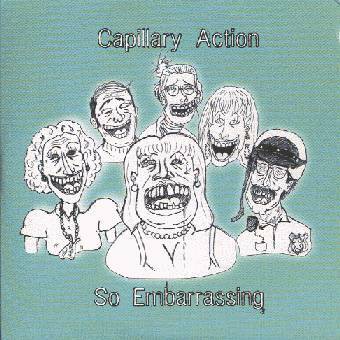 Capillary Action is a Philadelphia, Pennsylvania based band made up largely of graduates of Oberlin College and Oberlin Conservatory of Music. 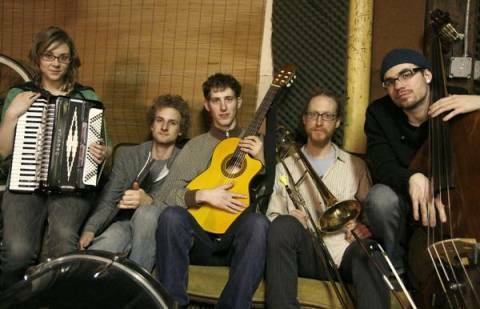 The ensemble has a widely-varying list of members centered around the constant Jonathan Pfeffer. 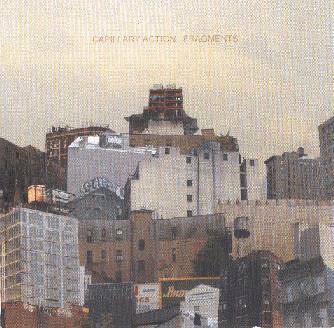 Capillary Action's 2004 debut album Fragments was written when Pfeffer was 17 years old, and was realized mostly as a solo project, with help from fellow Oberlin students Jeff Cristiani and Kevin Alexander. The second proper Capillary Action release So Embarrassing, features strings, horns, electronics, percussion, and vocals accompanying an album of personal accounts. It was recorded by Colin Marston at The Thousand Caves Recording Studios with Pfeffer's long time collaborators Ricardo Lagomasino on drums, Spencer Russell on upright and electric basses, and Kevin McHugh on keyboards. The album also featured Johnny Butler on saxophone, Matthew Nelson on saxophone, Ryan Snow on trombone, Andy Hunter on trombone, Jeffrey Young on violin, Jessica Pavone on viola, Caleigh Drane on cello, and Zachary Crystal on percussion. While the third Capillary Action record, Cannibal Impulses, was completed and unofficially distributed prior to So Embarrassing, it has yet to be released in its final format, a multimedia DVD containing video to accompany each song. In 2006, Capillary Action performed at The Rogue Independent Music Festival, at Progressive rock / Art Rock festival in Atlanta, GA. Recently, Capillary Action served double duty as both opening act and backing band for Fugazi bassist Joe Lally on a tour of the midwestern United States.